Mon – Fri: 8:00am to 5pm | Sat: By Appt. New York’s highways stay safe because responsible drivers know where to come for their vehicle’s inspection. In order to register your vehicle for road travel, it must pass a state inspection. 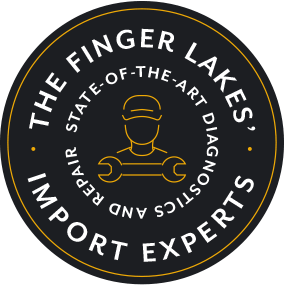 FLX Auto Group in Canandaigua, NY is not only a top-notch auto repair facility, but it’s also a top quality vehicle inspection station. When that time comes around for another inspection, there’s no need to wonder where to go. Many drivers assume that it doesn’t matter where but it matters a lot; to you, your vehicle, and to other drivers. It matters to you because your time and your convenience are precious. Our shop is a well-oiled machine and we make sure you don’t spend all morning or afternoon in our facility. You have places to go and people to see. We provide quick but thorough inspection services that ensure your safe road travel. Your vehicle is the star of the show–the reason that we’re all here! Our technicians pay close attention to details with every vehicle and will bring things to your attention that every driver should know. It may or may not affect your inspection grade, but it will affect your driving experiences, and we consider it part of our job to inform our customers of any way we can improve their vehicle. We all have to trust our fellow motorists when we’re driving. Part of that is making sure our vehicle’s meet all the safety standards of New York. Everyone can appreciate vehicle’s that have gone through the complete battery of tests, ensuring all components are fully-operational. FLX Auto Group is here to keep us all safer as a community. This may seem like common sense, but not every repair shop handles vehicle inspections or repairs with the same precision. When you come to our shop for a vehicle inspection, you, your passengers and all other drivers are that much safer. There’s no time or need to take chances with your transportation. Get your vehicle ready for inspection by coming to a shop that can handle your repair needs. We keep your visit as convenient as possible by providing you with the accurate diagnosis and complete repairs. Whatever condition your vehicle arrives in, you’ll drive away with a passing grade and a fully operational vehicle. Make us your one-stop shop for vehicle inspections, maintenance, and repair services. Schedule Your Vehicle Inspection Today! Our team is here to get you ready for safe road travel. You have nothing to worry about at FLX Auto Group because our vehicle inspection services are top-notch. We treat you like family and your vehicle like it was our own. With a close attention to detail and advanced technologies, we can make sure your vehicle is at peak performance. Give us a call today at 585-394-1985 to schedule your next inspection service appointment. Next time you’re in the area–3452 State Route 247–feel free to stop by with any question or concerns about your vehicle’s inspection.